Thyroid And Blood Pressure. Anatomical Model Of Thyroid Gland Is Near Sphygmomanometer With Bulb And Inflated Cuff. 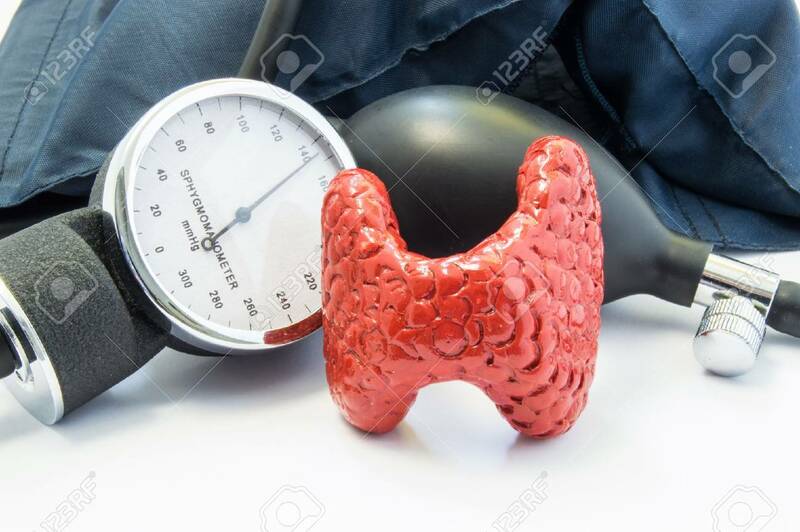 Concept Photo Of Effects Of Thyroid Gland And Its Hormones On Blood Pressure Level Royalty Free Stok Fotoğraf, Resimler, Görseller Ve Stok Fotoğrafçılık. Image 71292052.